When you are inspired by someone, very probably you see a special energy shining from that person, and a form of awareness: the clear sign that the person is understanding “what is going on”. This double presence is a highly valuebe form of Leadership, and when these two forces join, it becomes a Leadership masterpiece. For any artistic masterpiece, a special energy and knowledge is needed. 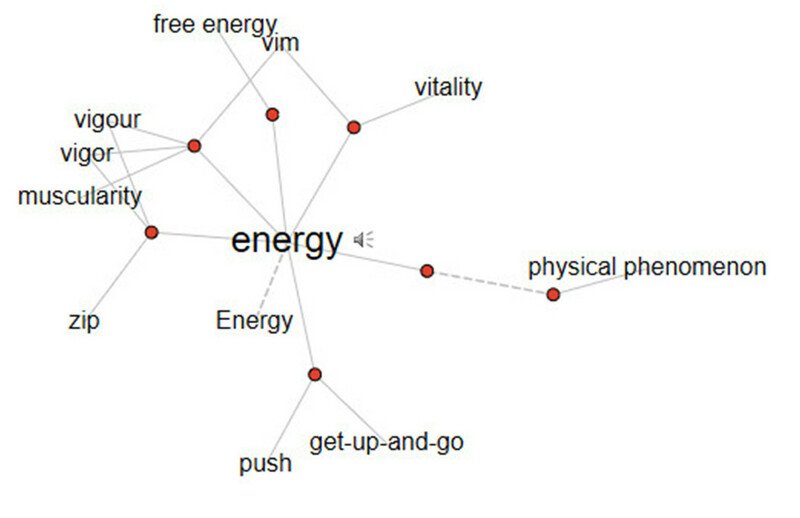 As seen in this semantic map, energy is linked to vitally, to vigor, it can take form of physical states as muscularity, it can a scientific concept connected to the laws of thermodynamics (as free energy in a system) up to becoming a state of mind as “vitality”. Leadership regards inspiration. The artist needs inspiration, tools, know-how, the wish to express a thought, spread a message, or fulfill a dream. The ability to inspire people is of the uttermost importance in today’s societies, that seem so empty in spiritual values, up to the point that we see higher suicidal rates in richer countries than in very poor countries. Firms without inspiration are like empty souls, walls and computers surrounded by nothing. Athletes without inspiration will find any training boring, and will soon give up. Leaders unable to inspire are not providing real energy. 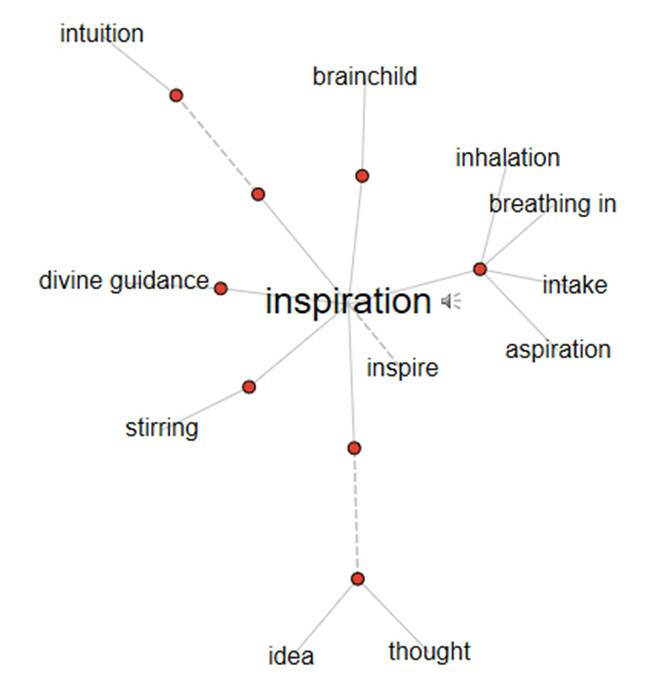 From the following semantic map, we see a very interesting connection with the spiritual side of inspiration, something seen as almost a divine guidance, intangible skills as intuition, and tangible acts such as inhaling, breathing in, the intake of air. This is not a casual correlation, but a real strong connection between what inspiration is on the “material” side and the immaterial act of inspiring energies. To be inspired, we must (metaphorically) breathe, inhale values, good beliefs, hunger for justice, hunger for results. The same need for “fresh air” is true about the art of bringing Humans to shine at their full potential, or teams and organizations to work at their best. Over 30 years of research combined with practical work on clients, brought the necessary knowledge and experience to highlight which are the six “main vectors”, the key-variables, or “core-cells” that contain the energy storage necessary for winning this challenge for life. The Exa-Leadership model owes its name from the Greek word for “six” (Exa) and is also a tribute to the enormous heritage that Greek and Latin culture generated for western civilizations. Leadership and self-leadership are like driving. Driving requires direction, a destination, but if you try to climb a steep path, you will also need a strong engine. Empowering our internal engine is our mission. This freedom comes from knowledge of how your human system works, from the ability to recognize lies that have been told you on what your limitations are, how permanent they can be, what you cannot achieve, and start instead to become a researcher of truth and knowledge. 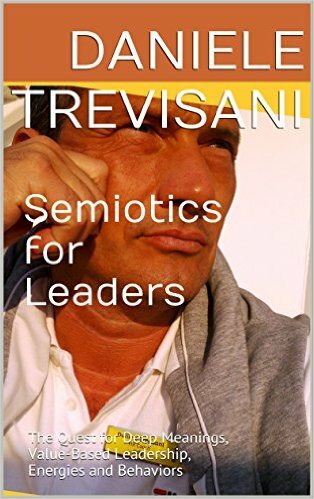 Semiotics is the science of coding and decoding, the search for meanings, the search for “truth” and definition of hypothesis. We are the very first targets of our individual battle, the battle for decoding what values have been instilled in us by education and society, family and friends, and start seeing how we use those values in leading people and projects. And when we see that some value is really a fake value, or simply is not more what we believe in, we must have the courage to throw it out of us. This is true for the Self, and also for Organizations, since humans are the living engine of every organization. As for any fuel-cell, our work aims at helping people to find the right fuel (input) before asking the machine to perform hard tasks (output). For those who know what anxiety and depression is, how it makes you feel, how it blocks your future, and makes your present a nightmare, it is important to know that not only something, but a lot, can be done. We need to fix a few things in our internal engine. By knowing how our human machine works, we will be able to set free its potential, we will be able to detect what stops a healthy “breathing” of the engine, to open the flow of air that is needed, and to restart our trip in even better shape. For people who feel already well, and are looking for their best performances, the work on Human Potential is also essential. Before jumping into action we need to fine-tune the engine, and if you are going to race amongst giants probably you will have to do much more than a fine-tuning. You will have to fully empower your engine. Fixing things is not enough. We look for the form of Art that can emerge from any human that achieves his/her potential, Art in a very broad sense, since a father or a mother can be Artists in their role, a teacher can be Artist in his/her role, Sports Athletes and even Managers can become Artists in the way they build a better future. Perceivable human performances are just the external outcome. Optimal inner functioning and well-being is the real internal victory.